We undertook this audit because past management letters issued by the city’s external auditors identified issues with the cash pool, including lack of procedures to ensure accurate and timely recording of transactions, and transparency of cash pool activity. In December 2008, the department of finance and department of watershed management executed a Memorandum of Understanding for the general fund to repay watershed for $116M spent to cover fund deficits and to finance the new public safety headquarters. The effectiveness of the city’s cash management is limited by the exclusion of 107 funds from participation in the cash pool. Lack of participation increases cash management transaction and opportunity costs, as more transactions are required and less pooled money is available for investment. Nearly all of the non-participating funds are bond, tax allocation district and grant funds. 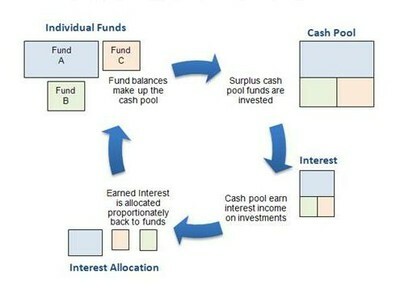 The basis for excluding funds from the cash pool is unclear, and finance staff lacks documentation or institutional knowledge to support individual fund restrictions. 17 bank accounts associated with the 29 participating funds are excluded from cash pool participation. In bank accounts containing over 94% of the total balance, two of the five bank accounts were excluded. Non-participating funds have been slow to reimburse the cash pool. In December 2012, non-participants owed the cash pool nearly $60 million. While the balance owed was down to about $10 million in May 2013, delays in reimbursements reduce the cash available for city operations and for investing. Spreadsheet errors led to misallocation among participating funds of 2.3% of the cash pool interest earned in fiscal year 2012. The general fund received about $22,300 less in interest than it should have earned.